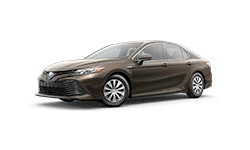 The 2018 Toyota Camry Hybrid in Miami, FL - serving Hialeah, Homestead, and Coral Gables is a modern sedan with futuristic technology. A muscular shape with sweeping curves and sleek surfaces make up the stunning exterior. The optional power tilt, sliding moonroof will let you gaze up at the sky and see the shining stars. The hybrid engine is a 2.5L Dynamic Force 4-cylinder engine with 176 horsepower and four different drive modes, including EV, Eco, Normal, and Sport. 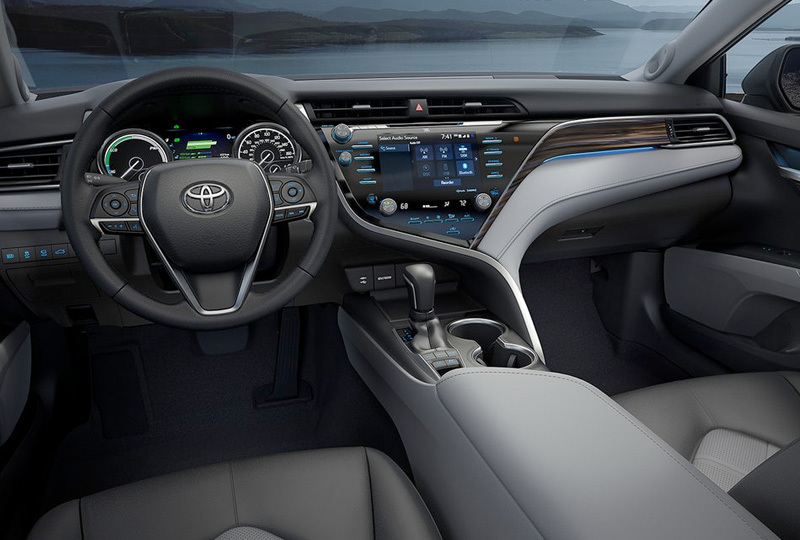 Inside the exquisite interior, you’ll find a quiet cabin, thanks to the acoustic noise-reducing windshield. Dual zone automatic climate control, available Qi-compatible wireless smartphone charging, and Entune 3.0 add all the modern technology you need. 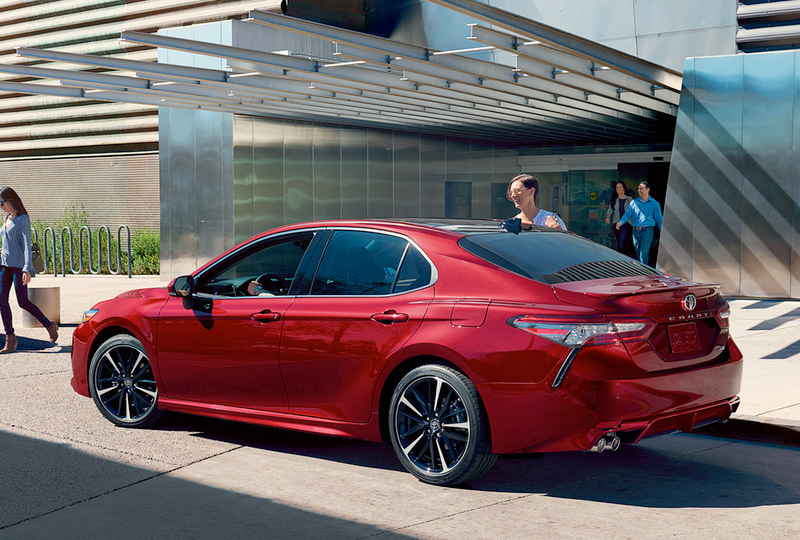 Standard Toyota Safety Sense (TSS-P) is always looking out for you with a Pre-Collision System, Lane Departure Alerts, Automatic High Beams, and Dynamic Radar Cruise Control. It’s a great day to buy a new Toyota! Here at West Kendall Toyota, we have a great lineup of 2018 models and great financing options. Schedule your test drive today by calling (786) 574-2430 or visit the showroom located at 13800 SW 137th Avenue Miami, Florida. 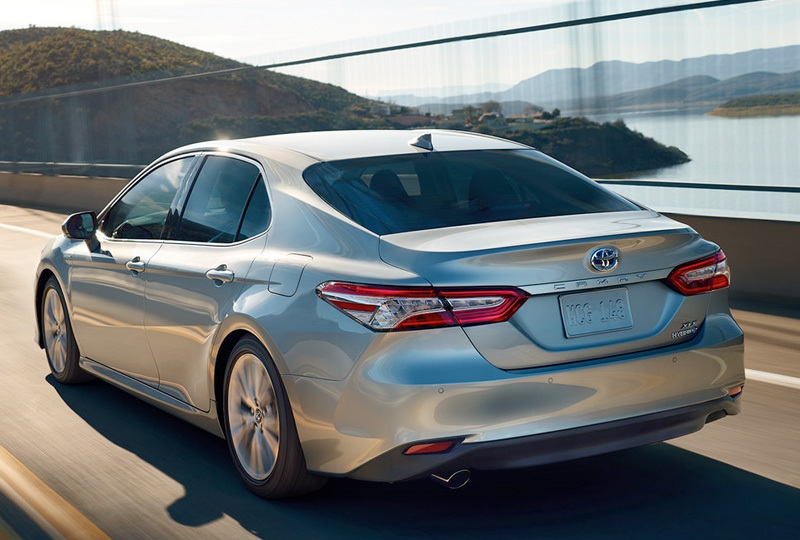 We’ll send you home in the 2018 Toyota Camry Hybrid you’ve always wanted! 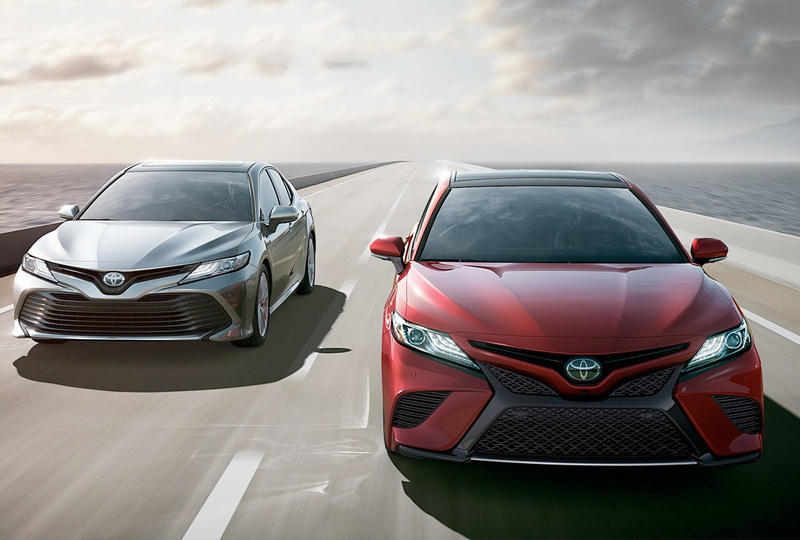 Camry Hybrid's powerful shape and captivating style will announce your arrival ‐ with authority. The muscular shape is defined by a pleasing blend of sweeping curves and chiseled surfaces. It's an irresistible symphony of flowing lines and sharp, unconstrained edges that always makes an impact. 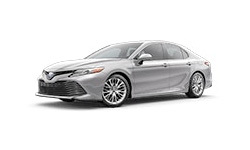 Toyota's dependable Hybrid Synergy Drive® relies on a sophisticated hybrid battery. It's been relocated to help increase trunk space, and its light weight helps maximize efficiency. This trusted system has been continually refined for 11 years, helping make it remarkably reliable. Camry's available Bird's Eye View Camera22 with Perimeter Scan uses front‐, side‐ and rear-mounted cameras to display a panoramic overhead view. It helps you get in and out of the tightest spots with confidence. 22. The Bird's-Eye-View Camera does not provide a comprehensive view of the area surrounding the vehicle. You should also look around outside your vehicle and use your mirrors to confirm surrounding clearance. Environmental conditions may limit effectiveness and view may become obscured. See Owner's Manual for additional limitations and details.